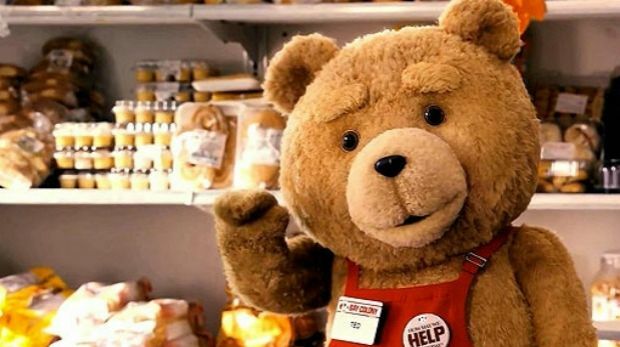 Hopes are high that the movie Ted 2 will live up to the sheer entertainment value of its progenitor, the talking teddy-bear action comedy Ted. What a feat it is that Hollywood can suspend the disbelief of its audience to the point where we laugh and cry along with the travails of a foul-mouthed teddy bear. Yet it is a feat rivalled by the dominant player in ecommerce in this country, eBay Australia and New Zealand. Believing that the financial statements of eBay provide a ‘true and fair’ picture of the company, as they ought to by law, is as fanciful as being gripped by suspense when a weed-chuffing, womanising teddy bear is about to have a car accident on the television. Ebay is the quintessence of “Hollywood accounting”. Its producers, eBay Inc and PwC, have created a fantasy storyline in which billions in Australian revenues mysteriously vanish – along with any obligation to pay income tax to the Commonwealth. Like Google Australia, another Oscar contender in the Hollywood accounting academy, eBay pretends it only has a “small business” in Australia. It pretends that the billions of dollars it makes offering a service in Australia to Australian customers selling Australian things to other Australians, all on Australian computers, is actually a business based in Far Far Away Land. For Google Australia that land is Singapore. For eBay Australia, Far Far Away Land is Switzerland. Now, tax lawyers might try to tell you this is all perfectly legal. They might invoke the sort of argument which would hold that, yes, drink driving may be prohibited, but there are no laws against teddy-bears drink driving. We will provide proof today however that eBay’s accounts are a complete fiction, that the business really is Australian, not Helvetian, and that the Australian Tax Office should drag this bunch of thespians through the federal court and get our taxpayer money back from Helvetiastrasse 15-17 CH3005, Bern Switzerland. Moving along then to the financial statements of eBay Australia and New Zealand – which you will find at the ASIC docs office, price of admission $40 a pop though supposedly open to the public. 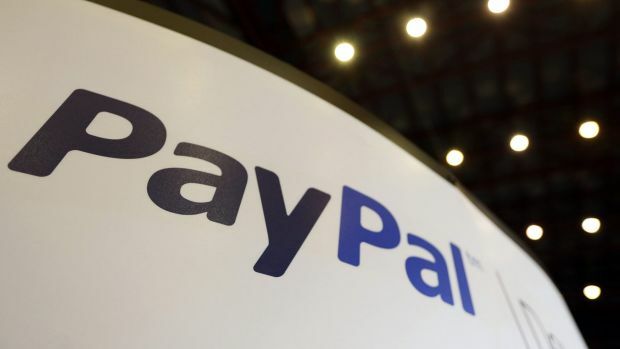 It is there that you will see that eBay, the biggest player in ecommerce in Australia, dwarfing all others with a 20 per cent share of the market, has forked out $6.2 million in income tax over 12 years – just half a million dollars a year. Like the desperate young actor on the Hollywood set, bit player the Australian Tax Office has taken “points” in the eBay show, but year after year there’s nothing left, no equity, no profit to distribute. The billions have vanished. This is Hollywood accounting, where the producers take the lot. What’s left barely matches the costs of producing the show. Rolling the credits for the lawyers and accountants: at $24 million, ‘professional fees’ over the 12 years were four times eBay’s income tax. Forget GST, they don’t pay it. Just like Ted and his best buddy John in the movie Ted, this writer and his forensic contact Jeff Knapp had a rollicking good time bouncing around these eBay accounts. Jeff, – an accounting expert from University of NSW – was tickled pink that, year after year, eBay has kept representing itself to ASIC as a “small company” when it was a large company on all three counts: size of staff, size of assets and size of revenues. And what a hoot it was that their 2004 and 2014 accounts were missing from the regulator’s database, and that others were late to boot! Your scribe here was flush with admiration too for the flair with which eBay parked its real profits in Far Far Away Land. According to former eBay insiders – and we witnessed eBay revenue sheets this week which corroborate this – turnover in Australia cracked the $3 billion mark three years ago. That’s right, not $40 million. This turnover of $3 billion a year is the gross value of goods bought and sold on eBay and its sidekick Gumtree. Besides clipping the ticket on roughly 10 per cent of this retail turnover in fees, eBay is one of Australia’s largest publishers, with 36 million site visits in 2014. So they get paid for banner ads on the eBay website and for Google text ads too. In 2012, according to documents seen by Fairfax Media, Google was paying eBay around $1 million a month and display ads were bringing in roughly the same. So here we have an operation in Australia which made, back of envelope, $324 million in income three years ago. It pretends that a Swiss-based entity, eBay International Advertising GmbH, really makes this money though, even though eBay Australia had 60 staff in Sydney working in the business, selling advertising and so forth. (Memo Tax Office: we have witnesses and documents to prove this if you care to pursue your statutory duties to investigate). The part of this eBay accounting fantasy though that really had Jeff laughing out loud (yes, true guffaws) was the eBay director’s report. Lights, camera, action, here it is: “The principal activities of the Company during the year were the recommendation of market penetration strategies and advertising and promotion activities”. Fair dinkum, we were almost in tears. Recommendations of penetration? Is that what they do at eBay Australia, just come up with $40 million worth of recommendations? They don’t run an online auction site, they don’t sell ads? They pay their staff $22 million a year to recommend penetration strategies? This is about as credible as the plot of Ted 2, as per the trailer, where Ted is trying to have a family, despite the fact that he does not have the requisite reproductive organs, and notwithstanding that teddy bears are widely deemed by the scientific community to be inanimate objects. We put questions to eBay. They ducked for cover. “Away on leave” was the line. The line from academic and Hollywood accounting critic Jeff Knapp was: “This is first-rate fiction from eBay. It’s not true and fair it has nothing to do with the invoices, the staff, or the ad sales. You pay the Big Four producer and you get the script to fit. This is Hollywood at its best”.